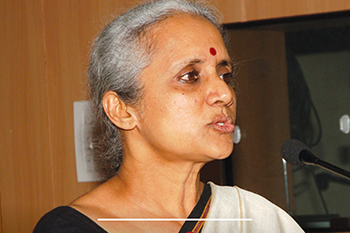 DEF hosted its second DEFdialogue with legal researcher and activist Usha Ramanathan on August 25, 2017. Addressing a small group of audience a day after the Supreme Court declared privacy a fundamental right is a historic judgment that may impact Aadhaar soon, Usha began with a discussion on the relationship between technology and privacy and went on to share the story of how Aadhaar was conceptualised. 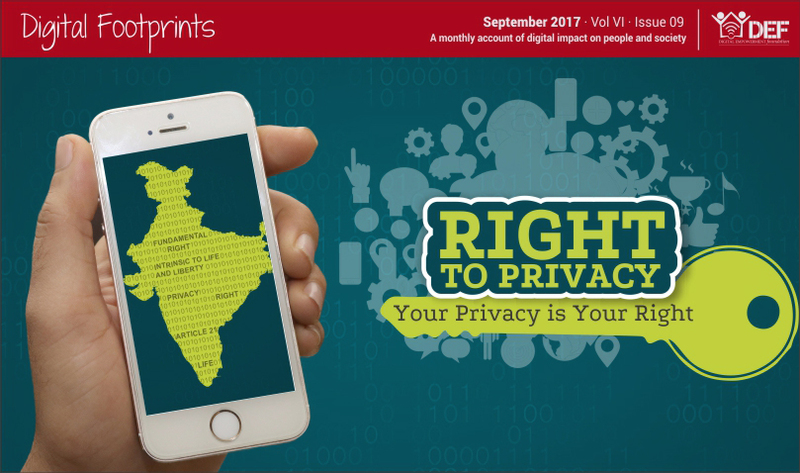 With a detailed timeline of events associated with Aadhaar and the Right to Privacy courtroom drama, she elaborated on the civil society’s struggle to ensure people’s rights and what the judgment means for the people. You can watch the entire discussion here. 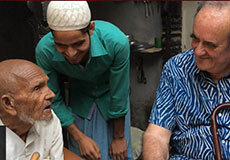 In his latest broadcast, BBC correspondent Mark Tully travels through India in search of the echoes of Partition among successive generations of Indians. He examines the legacy of the Partition, comparing contemporary memories of August 1947 with the personal and political tensions of today. 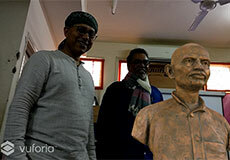 In this journey, he meets those who remember the violence of 1947, those who were born into the new world and those for whom the story of Independence may just be ancient history. One of his stops in this journey is Saidanpur in Uttar Pradesh where DEF began running a digital resource centre last year to uplift the weaver community. 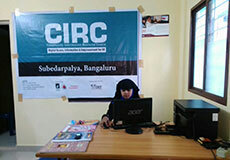 Newly established in partnership with a women rights organisation and supported by Oracle and CAF India, Community Information Resource Centre (CIRC) Subedarpalya in Karnataka focuses on women empowerment through ICT tools. 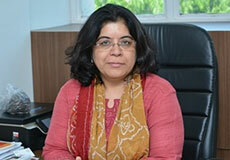 The centre has been established in a semi-urban part of Bengaluru to cater to housewives, drop outs girl students and others who do not have the opportunity to learn computer and digital literacy. The centre, which has started its first batch of digital literacy trainings for 30 students, aims to showcase the power of digital tools and technology to create women leaders and infuse confidence among them. English and Digital for Girls Education (EDGE), a programme focused on promoting English, digital and social skills among adolescent girls, completed another phase last month, with a total of 287 certified students in this leg. Centres across the country, where this programme was running, organised small ceremonies to distribute certificates to its students in the presence of relevant government officials. 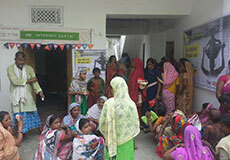 Some of the centres even live-streamed the event on Facebook to make it accessible to families and community members in the village, and to enable students to celebrate the moment with their peers, who were enrolled under the EDGE programme, from other villages. DEF is now ready to enter into the second phase of the Internet Saathi project, an initiative of Tata Trusts and Google India, to explore sustainable livelihood opportunities for the best performing Internet Saathis. 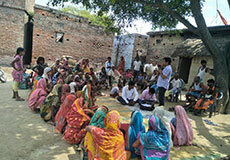 To kick-start this phase, DEF has carried out surveys in Bihar with the help of the Saathis to collect data on possible social and business digital interventions that can be started in the districts of Bihar. Neilson, a global information, data and measurement company, is leading the survey and has helped in the training of women to carry out surveys. 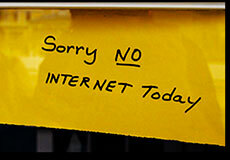 Internet Saathi is a project aimed at introducing rural women to the opportunities the Internet has to offer. Weavers across various handloom clusters under our Digital Cluster Development Programme were busy last month, in August, adding stock to the inventory ahead of a season of festivities. Preparing for Ganesh Chaturthi, Eid and Onam, weavers of Chanderi, especially, used their social media presence, including teh platform of WhatsApp, to woo ethnic wear enthusiasts to grab some stoles, dupattas and scarves to update their wardrobes. 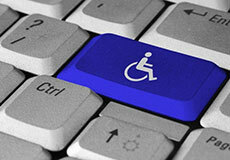 The festive collection is available for sale on Chanderiyaan’s eCommerce portal. You, too, can pick a few for yourself and your friends and family. 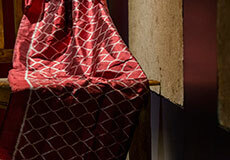 Let handloom be the perfect gift this festive season for your loved ones. 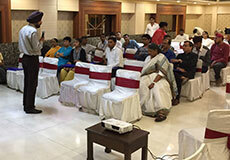 A one-day ICT Capacity Building Workshop was organised under the eNGO Programme in Chandigarh on August 5, 2017, to apprise regional NGOs with digital tools that can be leveraged by Indian non-profits for operations, management and outreach. Representatives from 27 NGOs participated in the workshop that focused on Google for Non-Profits (G4NP) for easy fundraising and effective collaboration; content creation in regional languages for wider reach; importance of Internet safety for secure operations; social media outreach for enhanced networking across the globe; and crowdfunding for increased access to financial resources. 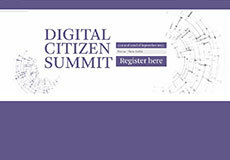 The agenda for Digital Citizen Summit (DCS) 2017 is ready. 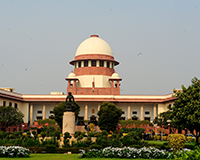 The Supreme Court’s landmark ruling on the Right to Privacy, which came out on August 24 this year, is bound to be a hot topic, and DEF is planning a workshop around the arguments presented in the court. Point of View, too, is conducting a mock courtroom workshop on the obscenity law. Center for Social Activism from Bangladesh and Bytes4All from Pakistan are co-hosting a panel discussion on Freedom of Expression Online while Feminism in India, Internet Democracy Project and Hidden Pockets are set to lead discussions on gender in cyberspace. Are you joining us? Karwan e Mohabbat is a collective civil society initiative envisioned as a journey of shared suffering, of solidarity, of atonement and of love. 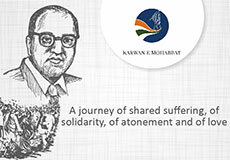 This month-long journey will travel across select states of India, visiting families, and offering condolences, of those that have been lost to hatred and lynching. Through this journey, initiated by human rights activist Harsh Mander and supported by various organisations, including DEF, we wish to respond to the everyday fear of Muslims, Dalits and Christians, and the worrying silences of the majority. You can follow the campaign on Twitter and Facebook, and support its crowdfunding campaign on BitGiving. In India, 2.2 million train tickets are booked on a daily basis, and as many as 41 per cent are waitlisted. Of these wait-listed tickets, around 16.4 per cent of the tickets are auto-canceled; this constitutes to 130 canceled million tickets a year. 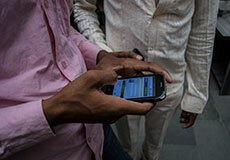 It is here that the Confirmtkt app comes into play as a rescue option for travellers. It predicts train ticket confirmations and discovers alternative options to travel based on data analytics, machine learning and past ticketing trends to suggest the best available alternative options to travel for by effectively utilising the unused inventory of trains, buses and cabs.